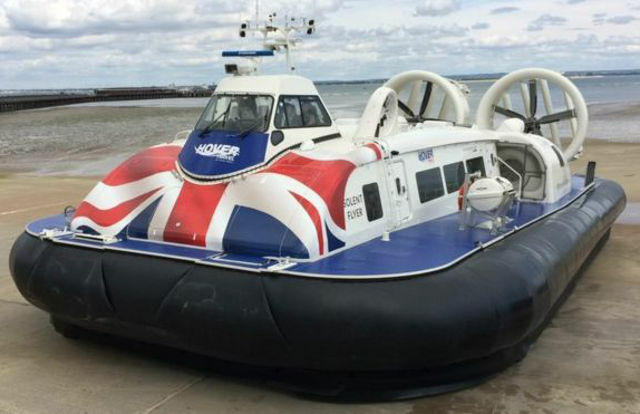 Hovertravel have had to revert to a revised timetable for the next few weeks as a fault on the Solent Flyer is repaired. There are a number of cancellations to the timetable. Hovertravel’s service is currently suspended due to the adverse weather, but when the service resumes there will be a revised timetable. From Friday 21st September to Monday 12th November 2018 Hovertravel is implementing a revised timetable to be operated by Island Flyer with some cancellations (see below). Solent Flyer experienced an issue with the ballast transfer system, so she needs to leave Ryde to travel to the sister company, Griffon at Woolston, for remedial work. Hovertravel is asking any customers booked on the above services to rebook at a different time. Customers who do not wish to transfer will receive a refund or will be offered prepaid travel with an alternative operator and apology vouchers. A Revised Timetable Help Desk will be open in our Ryde Terminal between 0700-0900 and again at 1530-1800 in our Southsea Terminal to assist passengers to transfer their bookings and answer enquiries. All the above information is available on the Hovertravel website https://www.hovertravel.co.uk/timetable/index.php . 2 Comments on "Hovertravel’s technical issues result in 4+ week revised timetable"
Hovertravel, we wish you well. We’ll actually miss you when you’re gone. really, genuinely want you to know to work. I just worry that there’s so many news stories about you these days.